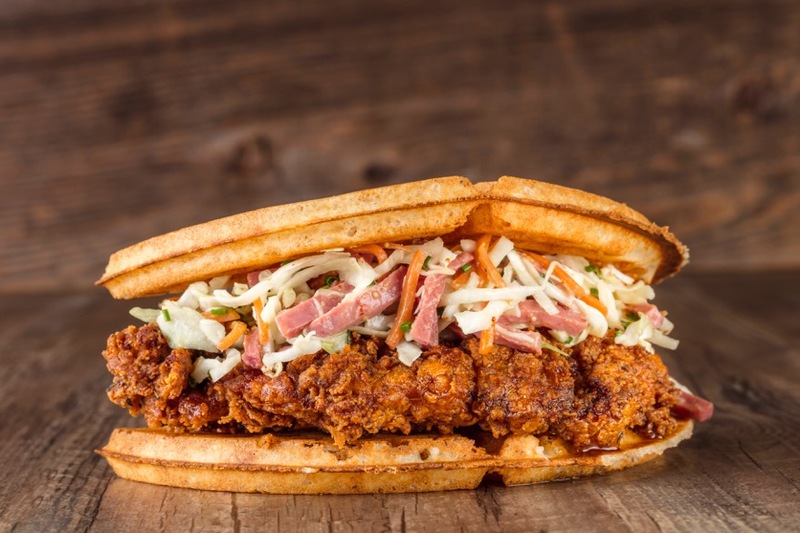 In conjunction with St. Patrick’s Day, Bruxie will offer its guests an opportunity to “get lucky” with an Irish riff on The Original Fried Chicken & Waffle Sandwich at all locations. This new “Get Lucky” Fried Chicken Sandwich will be offered from Wednesday, March 15th through Tuesday, March 21st at a special price of $9.95 for a weeklong celebration of the holiday! The “Get Lucky” Fried Chicken Sandwich will be offered at all Bruxie locations from March 15-21, 2017. For more information about locations, hours of operation and menus, please visit www.bruxie.com.